Colors : Red, Maroon, Green, etc. 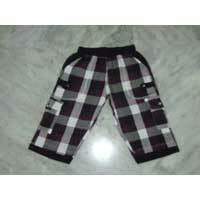 we are offering checkered boy's capri, 100% fine cotton in different sizes and colours..
Color : Black, Blue, Green, Red, White, etc. 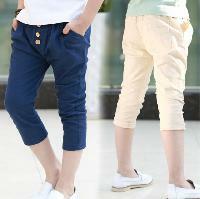 We are a supplier of eminence of stylish Boys Capris operating from Gandhi Nagar, Delhi, India. 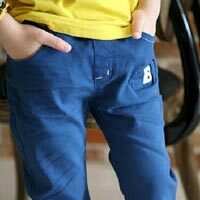 We offer boys capris, in all standard sizes, in cotton, linen, denim and polycotton. These stylish boys capris are available is a wide range of colors and styles and are ideal for casual wear and sportswear. 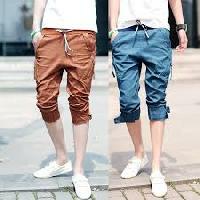 You can avail these boys capris at reasonable market prices. 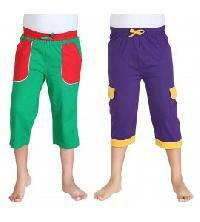 We are the foremost Supplier and Exporter of the Boys Capris , based in Tamil Nadu. 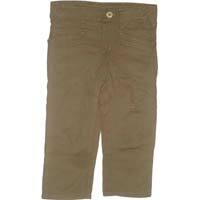 Our Boys Capris are made in compliance with the set industrial standards. Our Boys Capris are checked on various parameters before the final delivery. 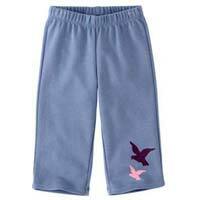 Our Boys Capris are available in varied designs, colors and patterns. 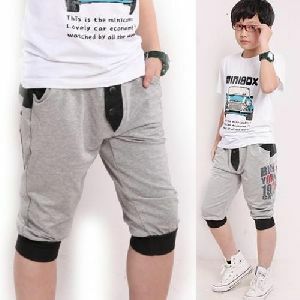 We are offering boys capri. available in 5 different sizes for d age group 5 to 15 pure cotton in a pouch packing containg 2pcs. boys capri. 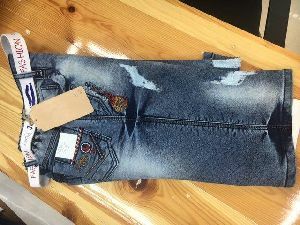 Size 16/20, 26, 36 available. Fabric dobby lycra, blast wash- 3 colors, withe fancy damaging full finished with standard pattern. 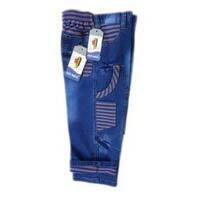 Thanks to our vast experience in the industry, we are involved in presenting Boys Capris to our customers. As a prime Manufacturer, Supplier and Exporter, we strive to deliver utmost quality. 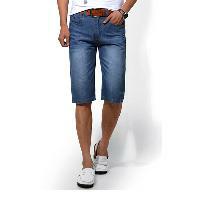 These are known for their classy design, fine fabric and comfort. Adding a touch of style and comfort, these are an instant hit among our customers. To avail excellence at economical rates, get in touch. 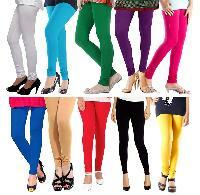 We offers girl & ladies top (all size), cotton, shiffon, lycra, rayon and other fabrics. 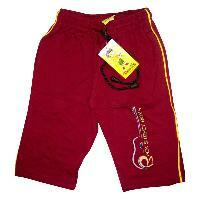 Boys capri also available all sizes. 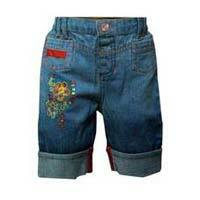 From Tamil Nadu (India), we are the prominent Manufacturer, Exporter and Supplier of Boys Capri . The Boys Capri, we offer, is extensively demanded owing to its perfect fitting, soft texture, high comfort level, skin friendliness, excellent finish and high shrink resistance. 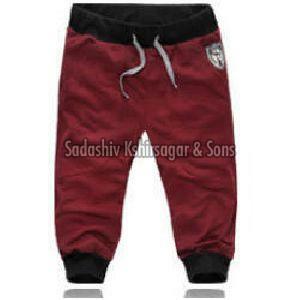 We make the Boys Kids 3/4th Pant available in different sizes and designs in order to meet the varied requirement of buyers. 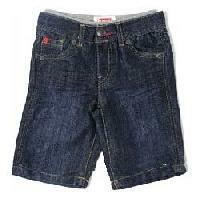 Boys Denim Capri is comfortable to wear and has a smooth elastic waistband and printed cartoon characters. You can opt to make payment by LOC, COD, Cash / Bank transfer, etc. according to the suitability of patrons. We are familiar with all and we make sure the transactions are secure. Courtesy a wide distribution network, our company is capable of catering to buyers IN Delhi(India) and/or anywhere. 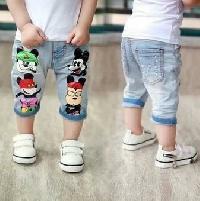 We offer stylish capri for boys. we have a a-2-z collection.